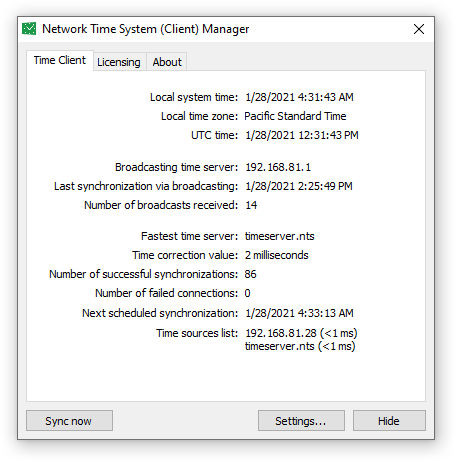 Network Time Client is part of the Network Time System package responsible for synchronizing time on Windows based workstations where it is installed. The application is capable of automatically searching for time server(s) on the corporate network of any complexity, from LANs to multiple routing networks. Setting a time server manually is also possible. Network Time System (NTP Client) supports both our own advanced time protocol (NTSv2) and the most widely used NTP and SNTP time sync protocols. 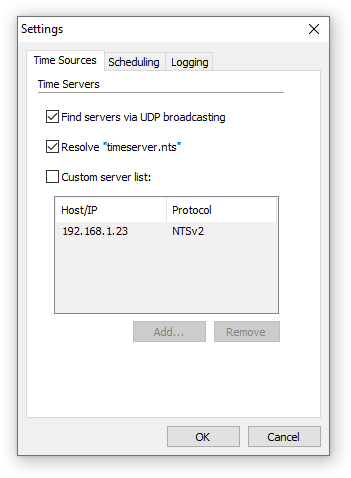 The application can find time servers running Network Time System (Server) by either sending out UDP broadcast requests or resolving the "timeserver.nts" host and connecting directly to the resolved IP address. The latter gives you the opportunity of setting up a stable time system by combining a series of physical and virtual time servers installed on different machines and/or locations of the company network. Network Time System (Client) is able to simultaneously gather time from several NTSv2 or NTP Servers and choose the fastest one to adopt the time from. The NTSv2 time protocol allows Network Time System (Server) to transmit the source time to the clients by sending NTSv2-UDP broadcasts that Network Time System (Client) can accept. 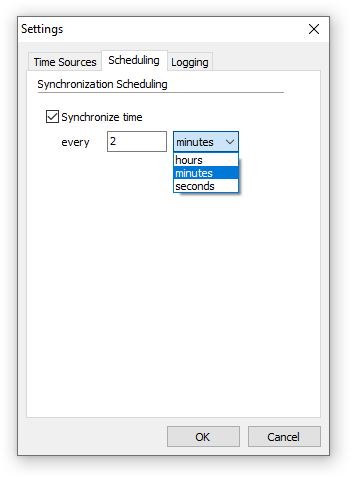 A built-in scheduler helps you easily set up time synchronization intervals. 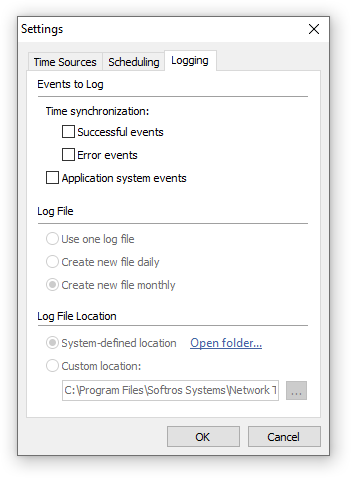 Network Time Client is a system service application that starts working right after Windows is loaded, whether there are any users logged on or not.